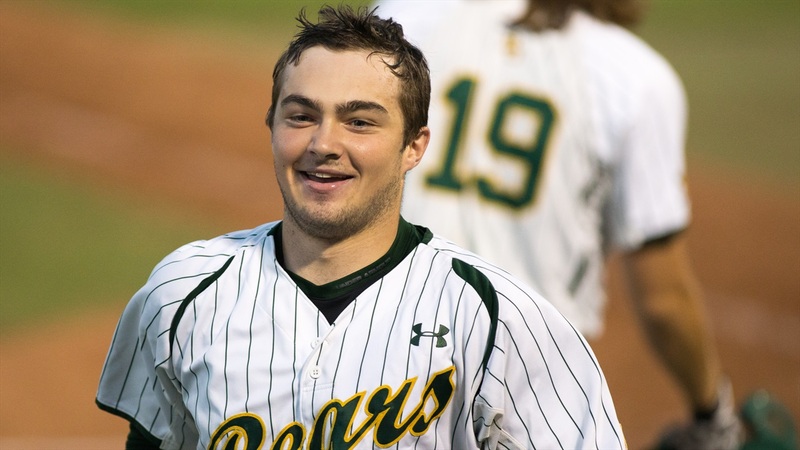 WACO, Texas – Junior catcher Shea Langeliers was named to Baseball America’s Preseason All-America second team, as voted on by MLB scouting directors. Langeliers is one of only two student-athletes on this year’s team to repeat as Baseball America Preseason All-Americans. For the second-straight season he was named a second team selection. This is the fourth team honor of the preseason for the Keller, Texas, native, as D1Baseball, Perfect Game and Collegiate Baseball also selected him for the same honors. Langeliers, a 2018 Gold Glove award winner and 2018 Second Team All-American, is a two-year starter behind the plate for the Bears. Last season he set career high marks with 49 runs, 18 doubles, 11 home runs, 44 RBI, 35 walks and an impressive .994 fielding percentage. His walk-off RBI single clinched Baylor's first-ever Big 12 Tournament championship and he was named Co-MOP of the Big 12 Tournament with teammate Cody Bradford. The Bears open up the 2019 season on Friday, Feb. 15 as they host Holy Cross in a four-game set.